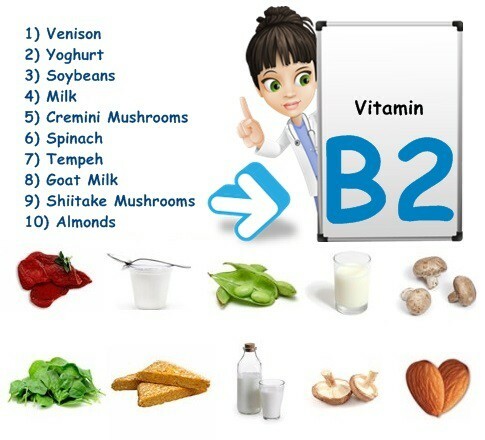 What is the function of vitamin B2? Riboflavin or vitamin B2 plays a key role in the production of energy by enabling the body to make better use of nutrients such as fats, proteins and carbohydrates. In addition to this, it promotes beautiful skin, strong nails and good vision. Moreover, vitamin B2 is crucial for a healthy nervous system and sustains hormone production in the adrenal glands. Vitamin B2 deficiency symptoms include: photosensitivity (sensitivity to light), watery eyes, itching or burning sensations in and around the eyes, painful lips, mouth and tongue, skin cuts (or cracks) in the corners of the mouth, dry, peeling skin, especially around the nose area. Very important: vitamin B2 sustains the functions performed by all the other B-group vitamins.